‘ICS RoundToe’ is a rounded toe Standard shoe available online in White Satin. This is a classic, traditionally elegant style. Worn by: Greta Laurinaityte (UK Amateur Ballroom Champion), Anna Borshch (Canada Professional Ballroom Champion), Stefanie Bossen (UK Amateur Ballroom Finalist). 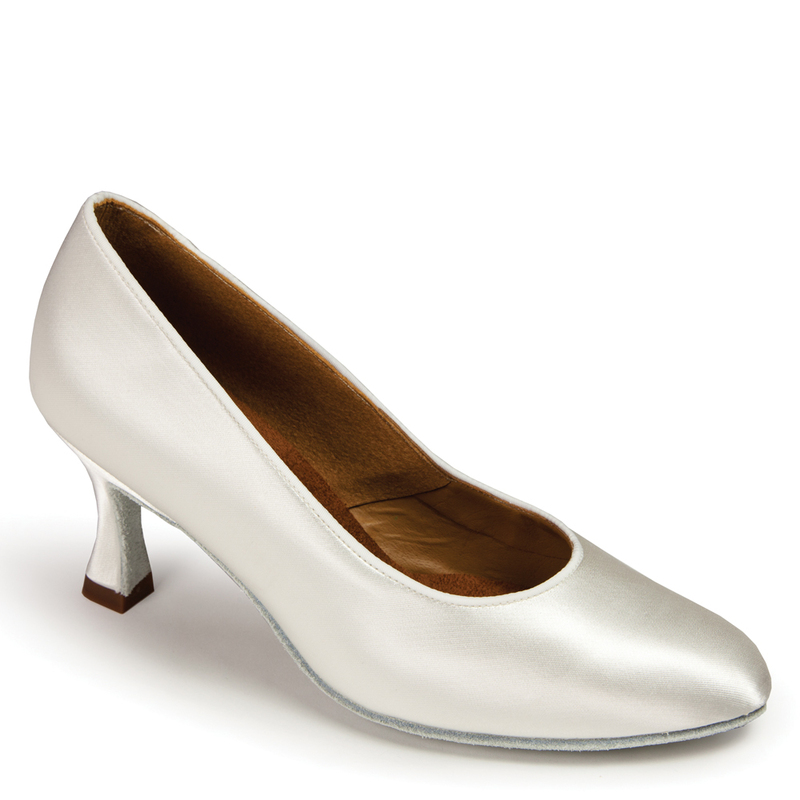 This shoe is pictured on the 2.5” IDS heel and it is also available in Flesh Satin, and you can view that style by clicking here. If you'd prefer a strap for greater security, then click here to view the ICS RoundToe SingleStrap.